Hof’s, the newest addition to Henley’s thriving food and drink scene, is set to open its doors tomorrow (Saturday 13 April) on the site of the former Station House pub on Market Place. The brainchild of South African wine guru Christopher Hof, the new Brakspear-owned venue will offer customers a unique selection of wines from smaller vineyards around the world, coupled with advice and education. 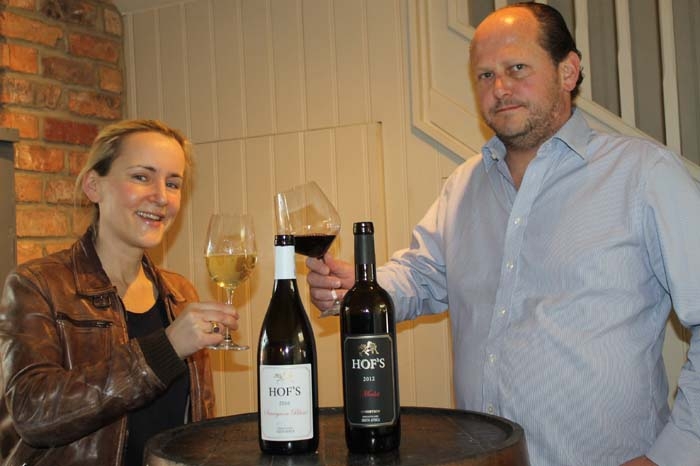 Hof’s has been supplying handcrafted South African wines to restaurants across the globe since 2009, but the Henley site is its first retail outlet. Hof’s will sell more than 25 wines, served by the glass, bottle and in flights of three or five glasses, chosen by the customer or recommended by one of the in-house wine experts who will be on hand at the venue’s tasting table, to guide them on their wine journey. As well as wines, Hof’s will sell Brakspear cask ales and a full range of draught products. There will also be a good selection of bottled beers as well as a select list of expertly-served cocktails. The kitchen at Hof’s will open on 26 April, with a focus on meat and fish dishes from South Africa, Germany, Switzerland and Japan, with a deli section offering hearty bites such as Salt Beef bagels, Beorewors and Biltong, all made on site. Sharing foods as well as individual serves feature on the menu. From opening day on 13th, a range of bar nibbles will be available. Christopher Hof explains: “Hof’s is all about bringing the vineyard to the customer, helping them to further their wine appreciation. We have all the well-known wine styles, as well as some more unusual ones not widely available in the UK, so we have something for wine novices and connoisseurs alike. Ahead of opening, Hof’s is undergoing a refurbishment, designed to reflect its wine credentials, and training the 10 new team members, led by front of house manager Sophie Meldau, who has worked for Hof’s wine business for a number of years, delivering wine tastings and events around the world.